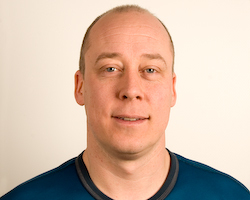 John Arne Nesheim who has a master in Informatics from UiO is head of the Section. Medical informatics has become an inherent part of most medical disciplines, covering a wide field from clinical databases to image analysis and robotic surgery. The Section for Applied Informatics researches and develops concepts needed to improve health care. By developping software, running analysis and supporting our researchers with their tasks we enable everyone to be supported by informatics-based information and communication systems and technologies. Technology plays a key role in the research we do, the strength lies within image processing and analysis of large data sets utilizing cluster computing, building clinical information systems and utilizing internet technology/systems to build and distribute clinical data. Medinsight have produced more than 170 different registers and databases and is the standard tool for developing and hosting quality registers and research databases at Oslo University Hospital. www.Oncolex.org provides information on diagnosis and treatment of cancer to health personnel, the norwegian site is currently visited more than 9000 times per week. DNA Ploidy, InterPath and iOncolex are commercially available, and TMA and ImmunoPath are used by several research groups at Institute for Cancer Research and CCB, and a core facility is under evaluation.